225 individuals and 57 wagons were in the company when it began its journey from the outfitting post at Florence, Nebraska (now Omaha). Burgoyne, Mary Ann Eynon, Reminiscences, in Edith Parker Haddock and Dorothy Hardy Matthews, comp. History of Bear Lake Pioneers , 115-16. Cannon, David H., [Reminiscences], in Our Pioneer Heritage , 20 vols. [1958-77], 5:32. "Capt. D. H. Cannon's Train," The Mountaineer , 13 July 1861, 162. Hall, Almira Jane Reid, Autobiography, 46-59. Howarth, Sarah Elizabeth Denton, [Reply to questions], in L. D. S. Individual Histories, Utah: Cannonville, Charleston, Grandview, Hooper, Lakeview, Logan, Marriott (1944), 114. "The Immigration," Deseret News [Weekly], 16 June 1861, 128. Tripp, Bartlett, Journal, 1861 May-Aug., 1-25. "Families from many nations" made up this emigrant train, wrote the company clerk. At the outset there were 225 people with 57 wagons. Some started west from Florence on May 30, going 1 miles to Deer Springs. Here a sheriff demanded the surrender of a cow. When the owner refused, he and the others in his company returned to Florence to have the case tried. It all came to nothing when the case was postponed. The company was instructed to be obedient to leaders, maintain harmony, and dispense with dogs. Eight more wagons joined the company and on June 1 it set forth in earnest-with the disputed cow in tow. Roads were muddy and unshod cattle found it difficult to pull wagons over hills. At the Big Papillion, stormy weather frightened the cattle, causing them to cross the creek and enter a farmer's wheat field. As the company entered upon the Platte River bottom, they overtook other wagons headed for Utah and met eastbound travelers from Salt Lake. Pawnee Indians visited the company, traveling beside it and camping nearby each night. Cannon, popularly called the "Little Captain," warned the company that overloaded wagons would tax the livestock. From Fremont to North Bend, the road was in bad shape. When they neared the town of Columbus on June 6, the number of Indians traveling by them had increased. Another wagon had also joined them, bringing the total to 61. There were 16 mules, 46 horses, 162 oxen, 79 cows, 158 loose stock, and 4 unidentified animals. They had a difficult crossing on Loup Fork, where they found it necessary to double-team. After making the crossing, they found the countryside was sandy and less timbered, and the road was dusty. On June 12 while the company was camped on Wood River, a terrific hailstorm struck. Hailstones that were as large as hens' eggs pelted them. "In ten minutes the water was an inch deep all over in the tent," wrote Almira Hall. Tents blew down and everyone and everything got drenched. The air turned cold. The next day they moved on to Wood River Center. Here they found a large ranch, a printing office, a blacksmith shop, and a store. Also camped here was a California-bound wagon train with 23 wagons. They spent the next day making repairs, trading, and hunting buffalo. Anxious to travel faster, two families with six wagons left the company here and joined the California wagon train. On June 15 the Cannon company passed Nebraska Center with its store (Henry's Trading Post) and brewery, then camped five miles west of Fort Kearny. Conflicting stories about the ongoing Civil War circulated. The weather was hot. On June 16 at Elm Creek, the families that had so recently joined with the California-bound company returned to Cannon's company. The next day at Buffalo Creek, Cannon decided to follow the old Pioneer trail instead of the Emigrant road because it was reportedly faster. On June 20 at Cold Spring, they spent time trading with Indians. Some young men in the company staged a horse race with the Indians. Unfortunately it frightened the cattle, causing them to stampede. Wagons overturned and wheels and axles were broken. Repairs had to be made. The next day, running horses again caused a stampede. A wagon wheel broke, a man's thumb got crushed, and a woman was run over. Mosquitoes also proved to be a trial. On June 28 they passed opposite Ash Hollow and camped at Quicksand Creek. Hearing reports that the road was better on the south side, several tried to ford the Platte on June 29 but found the water too deep and the current too swift. Reports of poor feed ahead caused the entire company to try to cross the Platte the next day, but again without success. They moved along the north side of the Platte past Cobblestone Bluffs, Court House Rock, Chimney Rock, and Scott's Bluffs. On July 8 some crossed the Platte to visit Fort Laramie while others gathered wild currants along the river. Finding poor feed west of Fort Laramie, the company divided. Half of the wagons remained under Cannon and the other half were led by Wiley Thomas and Bartlett Tripp. As they passed through the Black Hills, the two divisions were not widely separated. Traveling on the north bank of the Platte on the Childs' Cutoff, Tripp's division was at Alder Clump on July 13. On July 17 his division forded the Platte to the south side. Cattle deaths were frequent and people became sick with mountain fever. The divided company rejoined at Deer Creek on July 18. On July 20 they were delayed recovering cattle that had crossed the river in search of food. The next day they crossed on the fine bridge spanning the North Platte. On July 22 they passed Willow Spring, crossed Prospect Hill and met three wagons from the Salt Lake Valley. Sage hens were abundant and hunters killed some. The company passed through the barren land between the Platte River and the Sweetwater. On July 23 they passed Soda Lakes (usually called Saleratus Lake) and camped about nine miles east of Independence Rock. The next day they passed Independence Rock and Devil's Gate. Bartlett Tripp regarded Devil's Gate as "the greatest natural Curiosity on the road." On July 27 they passed by the Three Forks of the Sweetwater, where they viewed many inscriptions made by travelers on the overhanging rocks. They passed Ice Springs and crossed Rocky Ridge on July 29. Though the days were still warm, nights were now cold and snow was seen on the mountains. On July 30 they passed Strawberry Creek, where they found gooseberries. Steep banks made crossing the stream difficult. At the last crossing of the Sweetwater they found a blacksmith's shop and station. They crossed South Pass on July 31, nooned at Pacific Springs, and camped two miles further west. August began very warm and most of the company remained in camp to rest the cattle and make repairs, but two families with three mule-drawn wagons continued on. Here also some Texans who were headed to Utah joined them. On August 2 they crossed Dry Sandy and stopped at Little Sandy, where they found that the two families who had left the company the day before had lost their mules. They continued on past Big Sandy and reached Green River in the evening on August 4. Next morning, finding the water deeper than expected and rising, they blocked up the wagon beds in order to ford the river. 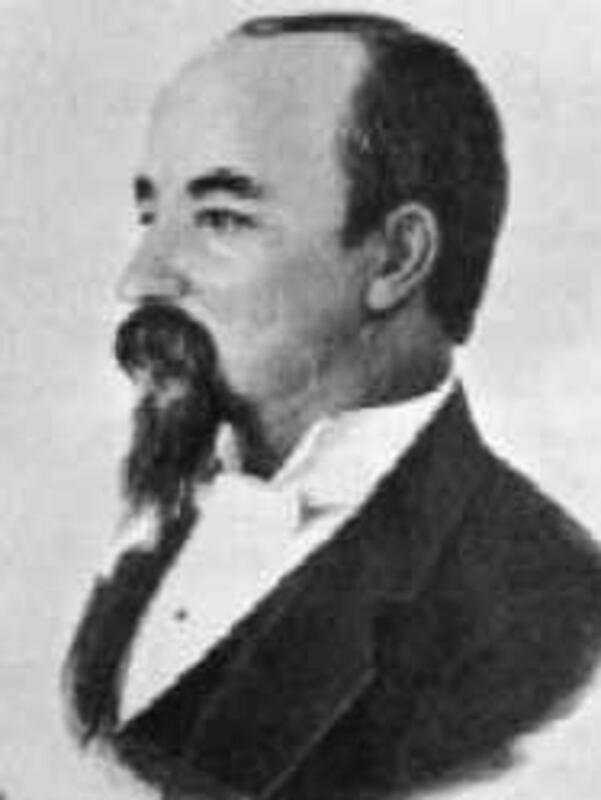 Utah's delegate to Congress, William Henry Hooper, and his party passed them here going west. They continued on past Fort Bridger and arrived in Salt Lake City on August 16. Upon arrival the company included 270 people with 60 wagons. Four people and 12 oxen had died.